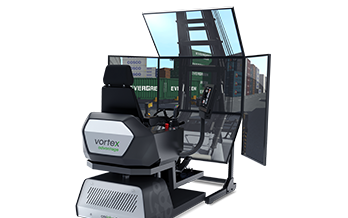 The Vortex forklift simulator training pack teaches forklift operators the skills they need to work productively and safely. 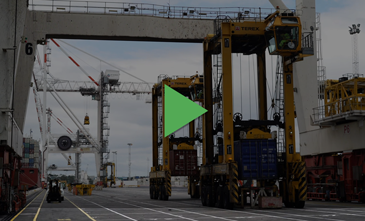 Following industry best practices, trainees learn basic vehicle handling skills, fork spacing and positioning, as well as how to safely handle a variety of loads before taking control of the real equipment. 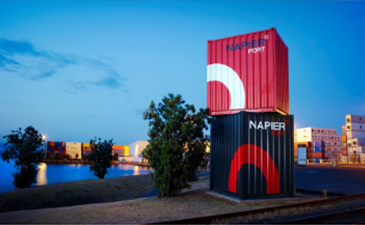 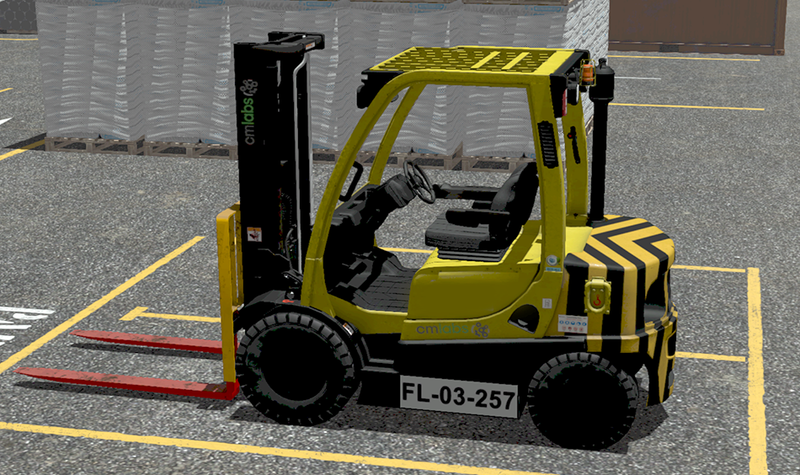 The safe operation of forklifts requires a solid foundation of knowledge and ability. 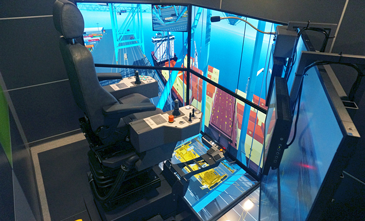 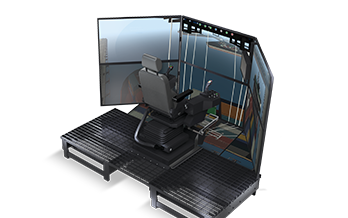 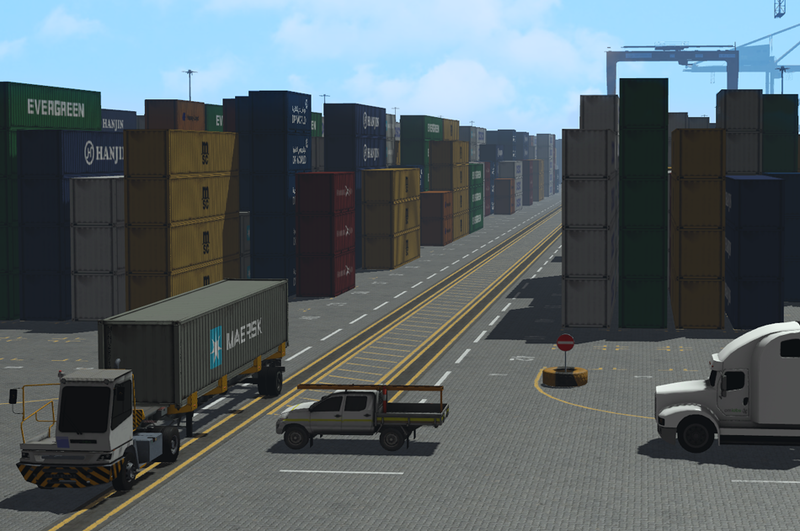 The Vortex forklift simulator training pack is built around skill-specific scenarios designed to demonstrate operator basics, highlight areas for trainee improvement, and present more challenging techniques when the apprentice is ready. 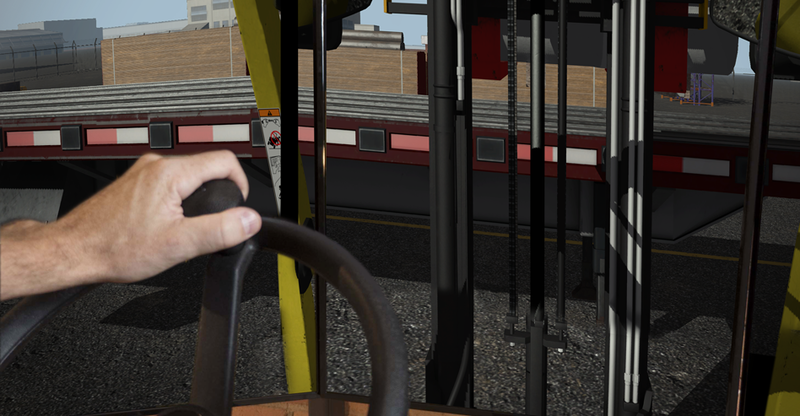 Drive and steer the forklift around objects. 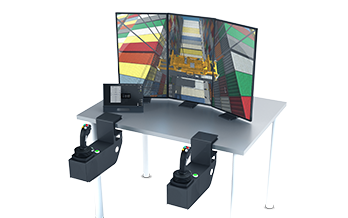 The Vortex forklift simulator training pack delivers a true-to-life, stimulating experience based on the behaviour and mechanics of the real machine, including load limits and the ability to topple when improperly handled. 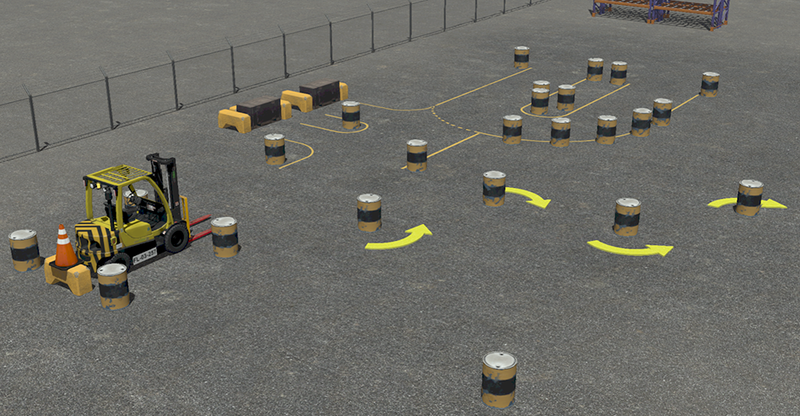 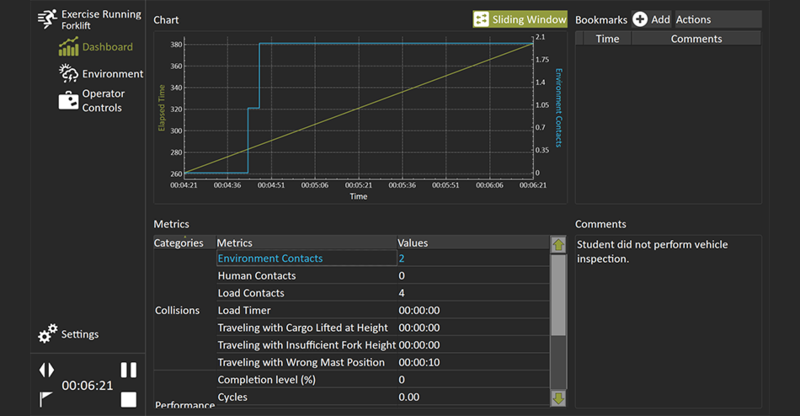 Offering a variety of loads along with instructor-triggered challenges, machine faults, and pedestrian traffic, this training pack offers an environment that moves from developing specific skills to challenging students and accelerating development.